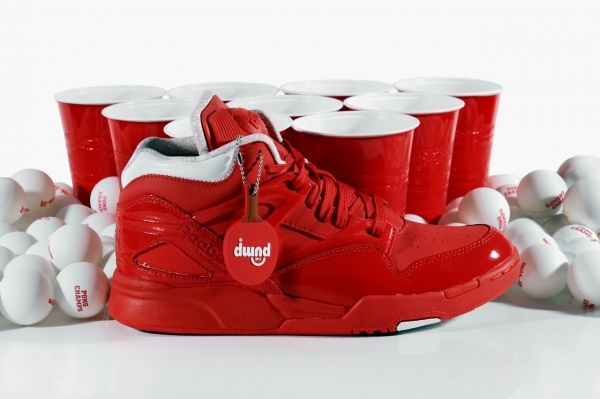 Atlantaâ€™s Wish has teamed up with Reebok for a beer pong-inspired â€œAmerican Funâ€ version of the Pump Omni Lite. With an upper dominated by bright red nubuck and patent leather with grooves at the heel as a nod to that all-essential beer pong tool, the Solo cup, the kicks come with a graphic footbed mimicking suds and a lining like a cup of amber ale. Complete with special ping-pong balls and miniature paddle hangtags, the Wish x Reebok â€œAmerican Funâ€ Pump Omni Lite will be available from Wish come October 13 for $150 USD before hitting additional spots one week later on October 20.